Our new 2014 GT-R goes for a test drive! The 2012 Chevrolet Camaro ZL1 debuted today at the Chicago Auto Show. It is the highest-performing Camaro and the most technically advanced car ever developed in its class. The new ZL1 continues the momentum of Camaro, propelling it into an entirely new realm of leading-edge performance technology. 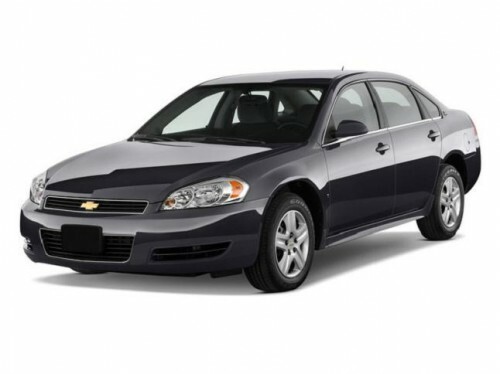 It is planned to arrive at Bob Maguire Chevy in the beginning of 2012. The all-new, 2012 Chevrolet Camaro ZL1 is powered by the LSA 6.2L supercharged V-8 engine that produces an estimated 550 horsepower (410 kW) and 550 lb.-ft. of torque (745 Nm). This high powered machine is officially in the Chevrolet Production Pipeline, which means that it will be here at Bob Maguire Chevrolet in Bordentown, NJ in just a few months! 2011, as testing nears completion. The LSA is the most powerful engine ever offered in a Camaro, eclipsing even the original ZL1 engine from 1969 that inspired the name of the new, maximum-performance model. Built on GM’s legendary small-block V-8 architecture, it features an intercooled supercharger system, premium heat-resistant aluminum cylinder heads and other details designed to ensure its exceptional performance is delivered with smoothness and refinement. A Tremec TR6060 six-speed manual transmission is matched with the LSA. It uses a 240-mm dual-mass flywheel matched with a 240-mm twin-disc clutch system to provide excellent shift smoothness. Special engine cover in red. The LSA engine’s sixth-generation Eaton supercharger, with high-helix, four-lobe rotors, enables a broad range of power through the rpm band, giving the engine great low-end torque and excellent horsepower at higher rpm. 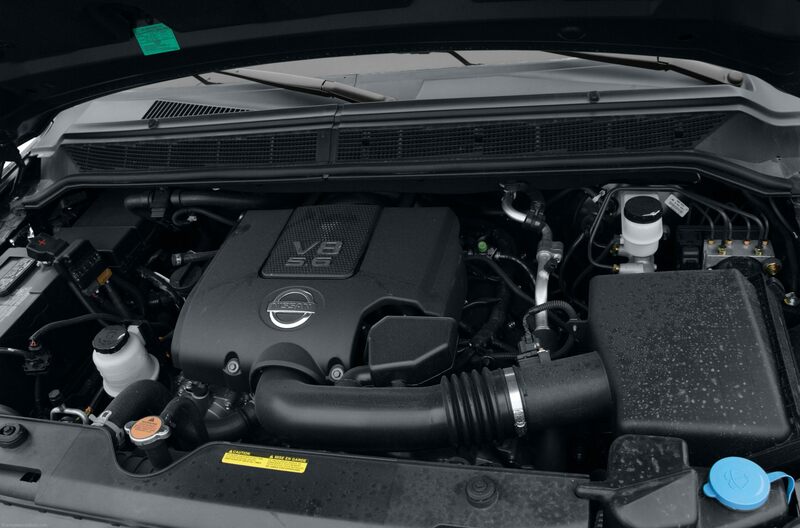 Heavy-duty and lightweight reciprocating components support the engine’s high-rpm, supercharged performance. The parts are housed in an aluminum cylinder block that features nodular iron, six-bolt main caps. Cast iron cylinder liners – measuring 4.06 inches (103.25 mm) in bore diameter – are inserted in the aluminum block and they are finish-bored and honed with a deck plate installed. The deck plate simulates the pressure and minute dimensional variances applied to the block when the cylinder heads are installed, ensuring a higher degree of accuracy that promotes maximum cylinder head sealing, piston ring fit and overall engine performance. Nestled inside the LSA’s deep-skirted cylinder block is a forged steel crankshaft that delivers a 3.62-inch (92 mm) stroke. It features an eight-bolt flange – the outer face of the crankshaft on which the flywheel is mounted – that provides enhanced clamping strength. Other non-supercharged GM 6.2L engines have a six-bolt flange. A torsional damper mounted to the front of the crankshaft features a keyway and friction washer, which is designed to support the engine’s high loads. Connected to the crankshaft is a set of lightweight powder-metal connecting rods and hypereutectic pistons, which, when combined with the cylinder heads, delivers a 9.1:1 compression ratio. The alloy of the pistons was selected for its strength and heat resistance properties, while the cast design provides inherent quieting advantages over other piston materials, such as forged aluminum. among enthusiasts, as they represented the pinnacle in Camaro performance – until now. The 2012 ZL1 model is designed to be a major leap forward for the Camaro, bringing a new level of performance capability to the segment. Camaro’s systems, as well as incorporated new technologies such as electric power steering and Magnetic Ride Control, the world’s fastest-reacting suspension system. Camaro ZL1’s design communicates and supports its performance mission. Rather than using decorative elements, ZL1 is visually differentiated from other current Camaro models with elements vital to the car’s elevated capabilities. black finish. New rocker panels, wide tires, 20-inch wheels and exhaust tips portray the car’s handling and power. The ZL1 badge appears on the grille, hood and the brake calipers, all key areas portraying the technology within. and shift smoothness. A new, shorter-throw shifter actuates the gear changes. tremendous power is delivered smoothly to the ground. controlling body roll in turns, with crisp response to driver commands. have four-piston calipers. ZL1 marks the entry of a new electric power steering system to Camaro. It is being developed to ensure precise control and feedback to the driver, with greater variability of effort for high-performance driving. includes a diffuser and spoiler, also functional elements that enhance the car’s aerodynamics. Wheels and Tires – New-design, 20-inch forged aluminum wheels, which are lighter than the 20-inch wheels used on the Camaro SS, are used with new Goodyear Supercar F2 ties developed specifically for the ZL1. gauge system featuring a boost readout. 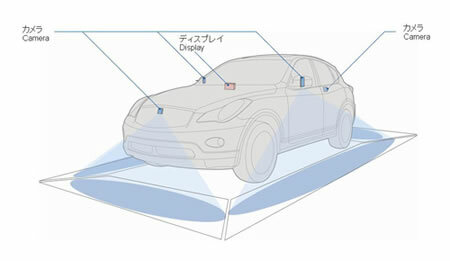 Rear camera system (displayed in the inside rearview mirror). Engineers have already driven Camaro ZL1 prototypes extensively at demanding road courses in the U.S. and Germany, with final testing being completed through the balance of 2011. We are less then a year away from truly experiencing the greatness of this vehicle so reserve your Chevrolet Camaro ZL1 today at Bob Maguire Chevrolet – Located at 237 US Highway 130 in Bordentown, NJ 08505. Nissan has always been a front runner in the technology race, and this year will probably be no different. 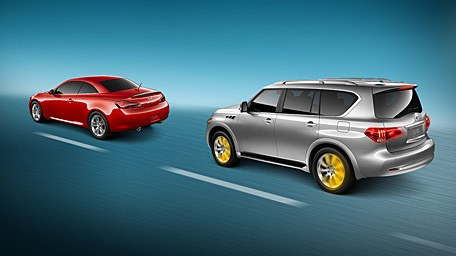 Nissan announced two new technologies that they will be using in their 2011 vehicle line-up: The Forward Collision Avoidance Assist Concept and Moving Object Detection. Foward Collision Avoidance Assist is a technology aimed at helping, “drivers avoid hitting vehicles ahead of them that may have come to a stop or are traveling significantly slower, while also helping to reduce the chance of a rear-end collision by helping to avoid sudden braking, ” according to Mark Kleis. This new technology uses radar to detect the speed and distance of a car in fr0nt of it. When a vehicle starts to slow down or becomes too close to it, a warning will sound and display on a screen AND the the technology will send a signal to the accelorator to slow down and to the brake to slow down the car, as well. Moving Object Detection is another technology by Nissan that uses sensors to detect the movement of bicycles, pedestrians and other drivers. When an object is detected, the device warns with driver audibly and visibly on screen. Nissan says that this technology will help avoid accidents in parking lots and areas with lots of small children/objects. The Impala is a large, front-wheel drive sedan that comes in three different models ranging from simple to sporty. 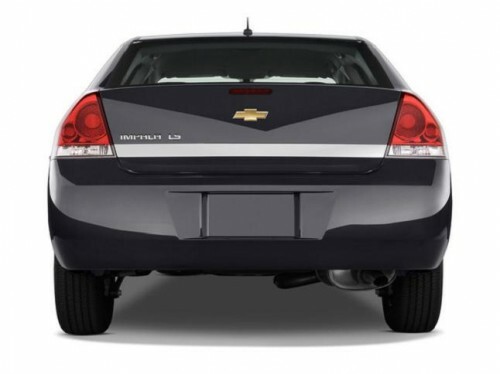 The base Impala LS comes with a 211-horsepower, 3.5-liter pushrod V6 engine, as does the mid-level LT. Standard on the top-of-the-line LTZ is a 230-horsepower, 3.9-liter V6. With either of the engines, a responsive 4-speed automatic is the only transmission offered, and both V6s provide perfectly adequate performance for keeping up with traffic, even when fully loaded. 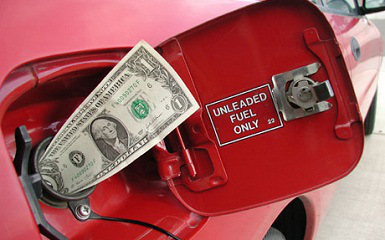 Additionally, both engines come with flex-fuel capability to accommodate up to 85% ethanol. LS and LT models come with suspension settings that favor ride quality but provide good handling control, with rack-and-pinion steering, front MacPherson struts, and stabilizer bars front and back, with 16- or 17-inch wheels and tires. On these models, the ride is especially quiet and well isolated. The LTZ adds larger stabilizer bars, a sportier suspension tuning and W-rated 18-inch performance tires. The Stabilitrak stability control system is standard on all Impalas, as are six airbags, including side thorax airbags for front-seat occupants and full-length side-curtain airbags. Four-wheel anti-lock disc brakes are also included on all Impala models, and OnStar is included as standard on all Impalas for the first year. 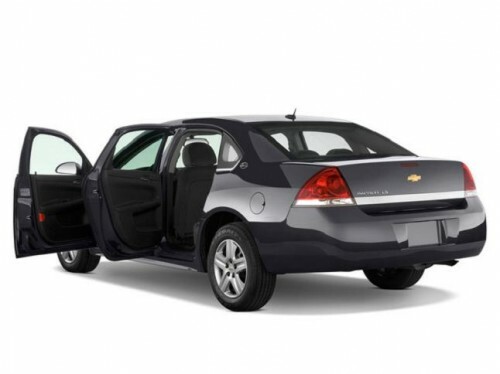 The Impala’s interior makes the most of available space, with plenty of legroom for front and rear occupants and enough space in back for two adults of nearly any size to be comfortable, but there is room for three. LATCH child-seat tethers are included in all three rear seating positions. Available on LT and standard on LTZ models is a flip-and-fold-flat rear seat, which allows a continuous loading space through the trunk. The Impala is also one of the few remaining cars in its class to offer an available front bench seat, to accommodate three across and six people total. Base LS models come with most of the conveniences buyers expect, including power windows, keyless entry, cruise control and air conditioning, plus dual-zone manual climate control and a 6-speaker CD sound system with XM Satellite Radio. LT models get a number of appearance enhancements, plus a remote start system, cast aluminum wheels and foglamps. LTZ models are the most luxurious and bring a long list of extras like heated seats, a universal garage door opener, Bluetooth hands-free calling, steering-wheel audio controls and a Bose 8-speaker sound system. Nuance leather upholstery with French seams is also included. All sound systems feature an auxiliary input jack for other sources such as iPods. Convenience and Luxury packages are available on the LT, and include many of the amenities found on the LTZ, such as Bluetooth, universal remote, heated seats, heated power mirrors and the Bose stereo. Stand-alone options on the LTZ include a power sunroof and a dealer-installed dual-screen rear DVD system. With two cab sizes, four bed sizes, four trim levels, and a long list of options and available packages, there are dozens of ways to configure the Titan to fit the job at hand. 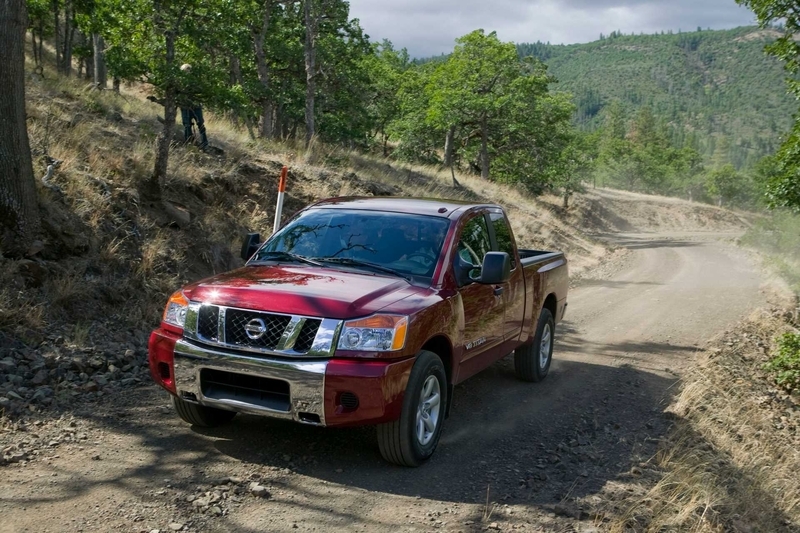 Every Titan gets the 5.6L V8 engine, which is capable of running on E85 bio-ethanol fuel, and a 5-speed transmission. Front air bags and ABS are also standard features. The King Cab can be matched with either a 6-foot-6-inch or 8-foot bed; the Crew Cab gets either a 5-foot-6-inch or 7-foot bed and rear half-doors that fold flat against the bed sides for easy entry. The four trim levels, from the most basic to the most feature-filled, are XE, SE, Pro-4X and LE. The 5-passenger XE King Cab starts the model out with 168-degree Wide Open doors and a CD stereo. The 6-passenger XE Crew Cab adds power locks, windows and rear glass and two more speakers. Both are available as rear-wheel or 4-wheel drive trucks. The SE has everything the XE does, plus 18″ alloy wheels, chrome bumpers and grille, power mirrors, remote keyless entry and 6-disc in-dash CD changer. Like the XE, it comes in either rear-wheel or 4-wheel drive. The Pro-4X takes the features of the SE and adds off-road capabilities, like electric locking rear differential, Rancho shock absorbers, lower gear ratio, two additional skid plates, fog lights, bed lockbox, upgraded interior trim and white gauges in the dash. The Pro-4X is only available in 4-wheel drive. The LE takes the features in the SE and adds a load of extras: 20″ alloys, automatic headlights, spray-on bedliner rear sonar system, 10-speaker Rockford Fosgate stereo upgrade, Bluetooth connectivity, dual-zone temperature control, heated front seats and power adjustable pedals. It takes a few features from the Pro-4X, too, such as fog lights and bed lockbox. 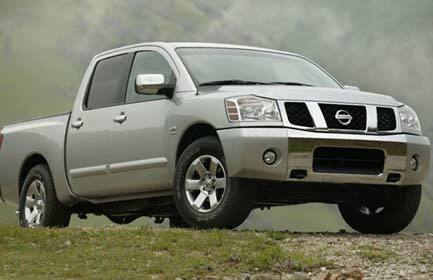 All Titans now get Nissan’s Vehicle Dynamic Control and side-impact airbags as standard safety equipment. Besides these cab sizes, bed lengths and trim levels, there are several packages of options available for the Titan: Max Utility, Side Airbags, XE Popular Equipment, SE Popular Equipment, Heavy Metal Chrome, Driver’s Convenience and Technology. Most of these packages include features that are standard on the LE version of the Titan, but some, like the Side Airbags package, is optional for all models. It includes roof-mounted airbags, side-mounted airbags and vehicle dynamic control. The exact features included in the new Heavy Metal Chrome package depend on the model, but it generally includes chrome wheels, chrome step rails, chrome billet grille, chrome door handles, and, on the SE Crew Cab, chrome mirrors. 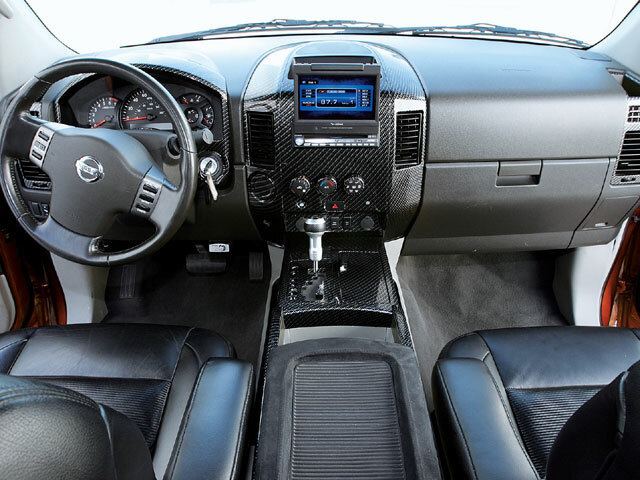 The Driver’s Convenience package adds 8-way adjustable front captain’s chairs rather than the 40/60/40 split front bench, Bluetooth, and the upgraded sound system. In the Crew Cab configuration, this package includes a sunroof, too. The Max Utility package makes the Titan into the ultimate workhorse, with spray-in bedliner receiver hitch, 7-pin wiring harness, heavy-duty battery, and front tow hooks. The Pro-4X and LE versions of the package include heated tow mirrors in addition to all the other features.